Inviting. Vibrant. Eco-friendly. Upgrade your modern living experience when you become a resident at Crescent Park, a pet-friendly community full of stunning apartments and contemporary amenities. 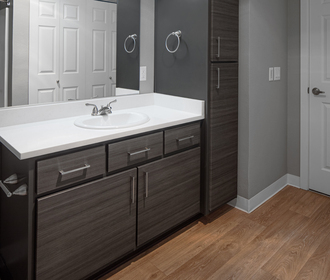 From its ideal location near I-5 and the Randy Papé Beltline to conveniences such as an on-site car wash and fitness center, Crescent Park offers both a lifestyle and locale you’ll be proud to call your own. Surrounded by lush greenery and native landscaping, Crescent Park acts as a tranquil sanctuary from the hubbub of everyday life. Leave your worries at the door as you cross the threshold of a home filled with features that make life easier. In the kitchen, you’ll have a full appliance package, including a dishwasher and disposal. 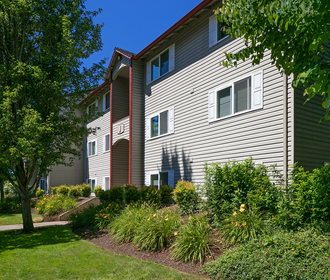 A full-size washer and dryer are provided for your laundry needs, and a spacious patio or balcony lets you extend your living space to the outdoors. Explore the pristine grounds of Crescent Park to discover comfortable social spaces and practical amenities. Meet your neighbors at the on-site dog park, playground or outdoor basketball court. 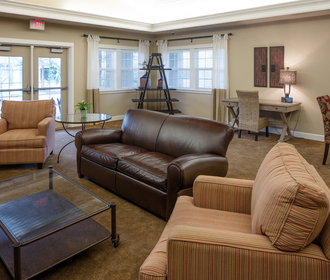 The clubhouse has complimentary Wi-Fi, and the on-site fitness facility is open twenty-four hours a day. Call today to schedule a tour of this amazing community.